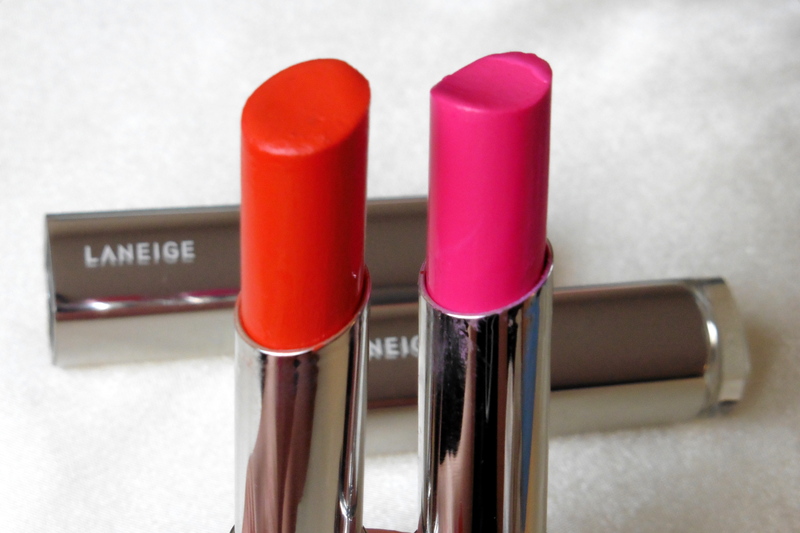 I first grew curious about the Laneige Serum Intense Lipsticks because Cheon Song Yi (Jun Ji Hyun) applies shade YR25 Neon Orange in one episode of “My Love From Another Star.” In that episode, she’s shown sitting at her vanity with the whole range of Laneige Serum Intense Lipsticks organized before her, and she selects this shade to wear before meeting up with Do Min Joon. So naturally, I bought the exact same lipstick. While I was at it, I picked up LR07 Love Me Pink. 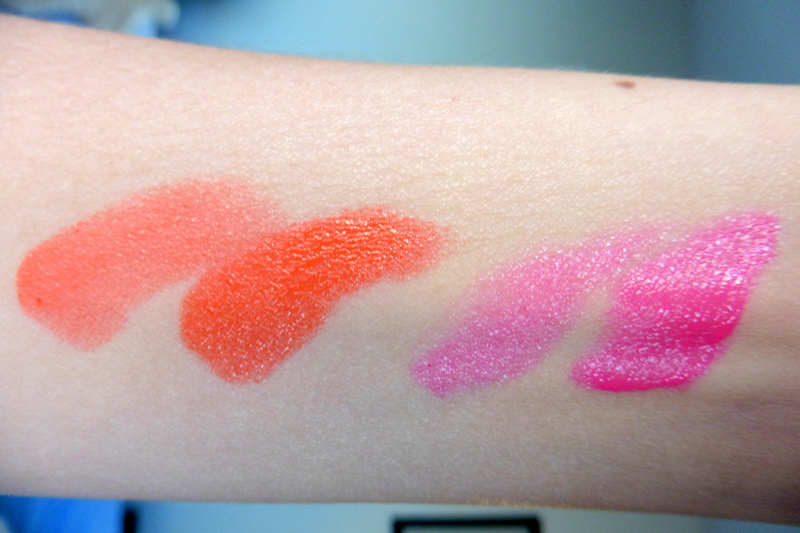 The lipsticks have a creamy texture that melts onto your lips. The finish is moist and shiny. 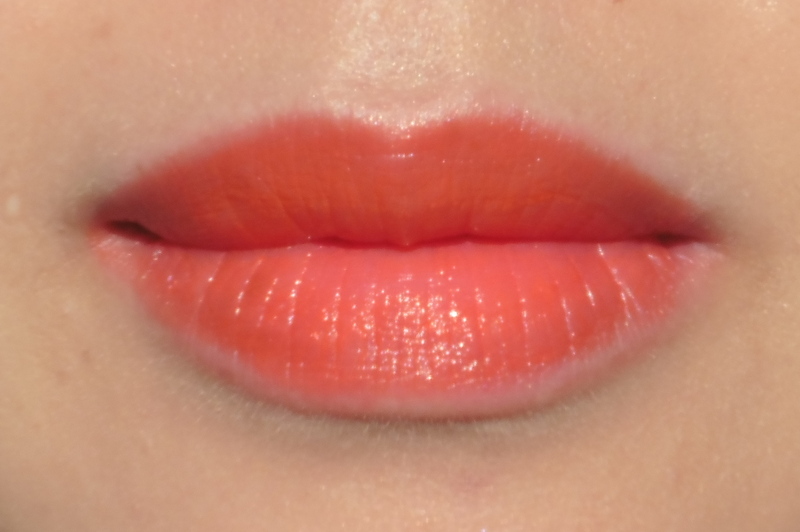 Coverage is medium and buildable to full. Due to the creamy texture, lasting power is just so-so. YR25 Neon Orange is a strong medium orange cream. I wouldn’t say it’s neon, and I don’t think it looks quite as brightening and electric on my face as it does on Cheon Song Yi. LR07 Love Me Pink is a hot pink cream slightly on the cool side. It’s not pastel or chalky, yet also not fuchsia. It brightens up the face and is just a very happy color. 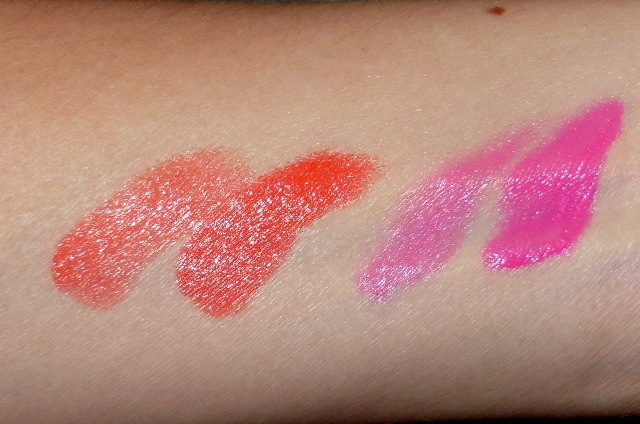 Swatches below are shown with one layer and then applied heavily. These are seriously gorgeous, wish I could get my hands on them! They’re great! I ordered them from TGIWholesale. 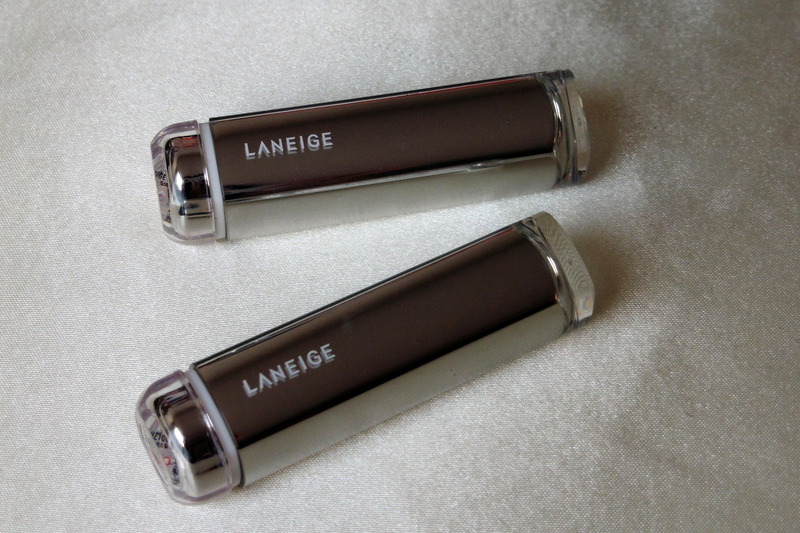 As much as I like the lipsticks, I like the Laneige Water Drop Tints even more.